Republished on the 25th September, 2018: We're bringing this review back to coincide with the launch of Valkyria Chronicles 4. 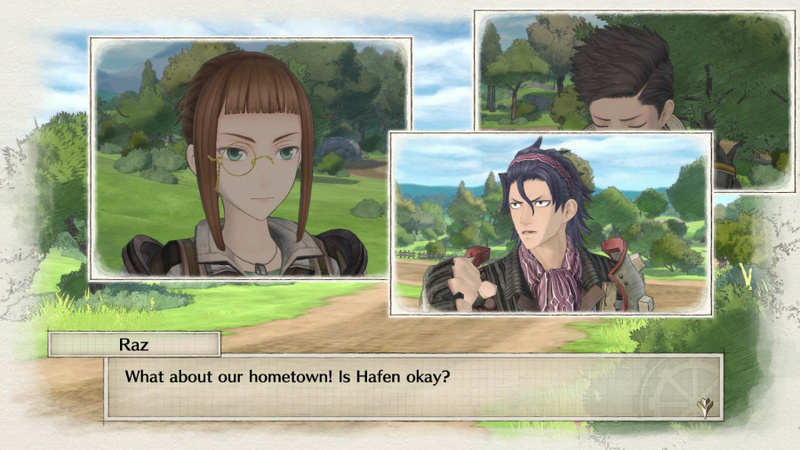 The Valkyria Chronicles series is set during a low fantasy re-imagining of World War II, here called the Second Europan War. The topography of the Europan continent is only marginally different to our Europe, and the role of the Nazi regime is played here by an entity known as The Empire, hell bent on conquering their neighbouring countries in order to secure what remains of a depleting power source known as ragnite. Back in 2008, the first game in the series released on PlayStation 3 and was met with critical acclaim and secured a cult following thanks to engaging combat and a cast of likeable characters - ordinary folk forced into putting up arms to defend their country from an invading evil. 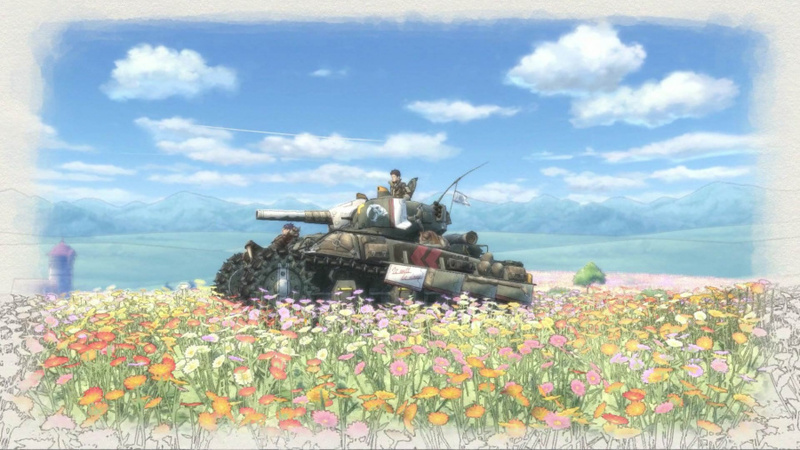 It's been ten years since the original Valkyria Chronicles, and after the immediate sequel shifted to PSP, and the third game never made it outside of Japan, fans have been clamouring for a home console follow-up in the West. 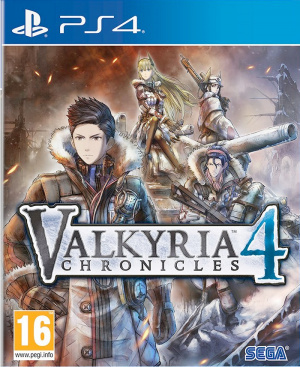 After last year's disastrous spin-off Valkyria Revolution, the future for the series has looked somewhat bleak, but not only is Valkyria Chronicles 4 a successful return to form, it's the best game in the series to date and one of the best role-playing games on PS4. If you've played Valkyria Chronicles Remastered - and you should - then this game will at once look familiar. The campaign is presented to you in the form of a book on Europan history, and each event in the tome - be it a battle, an important story beat, or just some lighthearted banter between comrades - is brought to life in vibrant watercolours. It's the sort of timeless art style that ages gracefully, as opposed to attempts at photo-realism that look dated within a couple of years. You'll progress through the game by working through the pages of the book, watching the story scenes - of which there are many - and taking part in the numerous battles. The main questline sees you take on the role of Claude Wallace, the commander of Squad E of the Federation Army, in a storyline that runs parallel to the events of the original release. 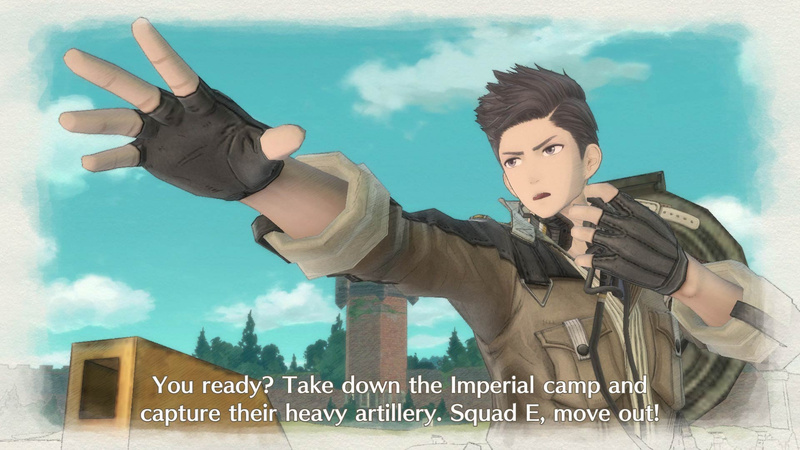 Claude and his squad are on a dangerous mission into the heartland of the Empire to try and end the war by taking out the enemy Capital, and their journey is engaging from first to last. Valkyria Chronicles 4 does a wonderful job of balancing the realities of war with its more fantastical elements, and never veers too far in either direction. The pretty boys and helium voiced girls in your squad might initially come off as little more than anime stereotypes, but most characters do have layers to their personalities that are explored as time goes on. Similarly, while the story does go into some surprisingly dark territory on occasions, you probably shouldn't go into this expecting hard-hitting commentary on the horrors of warfare - each tragedy is balanced out by an amusing side story, and vice versa. 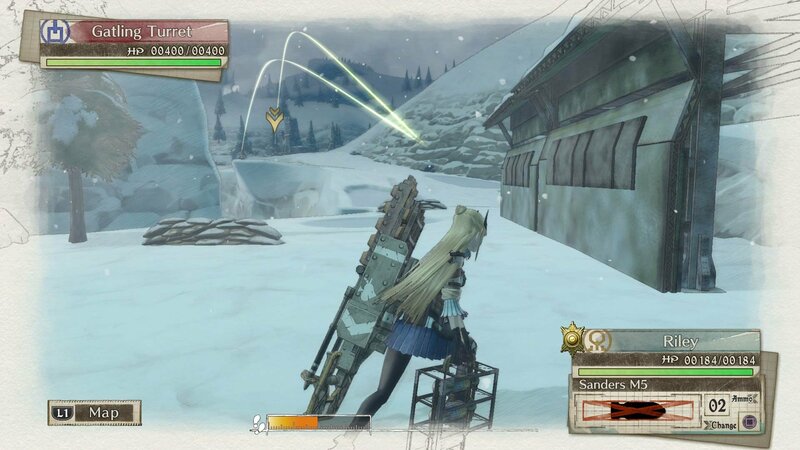 Combat in Valkyria Chronicles 4 is a refined, updated version of the system seen in the original PS3 game. It's turn-based, and each turn you're given a set number of Command Points which allow you to issue orders to your troops. Selecting a unit uses up one Command Point, and once selected the view transitions to that of a third-person shooter, allowing you to move your soldier or vehicle a set distance dictated by how many Action Points they have. Tapping R1 at any time opens up an aiming reticule, and from there you can try to kill an enemy - headshots do the most damage but are hard to hit, particularly over long distances, while a body shot is safer but may leave you prone to a counterattack if you don't finish the job. Once you're out of CP the enemy has their turn, so it's wise to make sure your troops are in strong defensive positions before the transition. If any of your soldiers run out of health they'll lay injured on the battlefield for a few turns until you can get a medic to them - fail to do so and they'll perish, and they won't be coming back. There's numerous different classes in play to spice up the proceedings, each offering different offensive and defensive capabilities. You can't rely on any one class to win battles for you, and choosing the right mix is all part of the strategy. Shocktroopers can't travel long distances but can obliterate troops with their machine guns, Engineers are a support unit that can repair tanks or diffuse landmines, and Snipers can take out enemies from afar. Grenadiers are a new class to the series that while weak in close quarters combat, can bombard enemy soldiers with explosives in either offensive or defensive turns. Most maps - particularly in later missions - feature enemy grenadiers placed strategically to cause you trouble, and so sending your rank and file out marching without due care will likely see you quickly routed. Missions and maps are varied, and many are much larger than seen in previous Chronicles games. Some will see you having to take over an enemy base or wipe out an entire battalion, but there are also ones that require you to survive a set number of turns against overwhelming odds, or to escape from enemies hunting you down. During winter missions there'll be occasional snowstorms that hamper movement and visibility, and the deathly cold means that allies who've fallen in battle will more quickly succumb to their injuries. The campaign is full of tense, well-structured battles that will keep you on your toes, and the changing objectives and combat conditions means that missions don't feel stale or rote, even towards the end of the 40 hour-plus story. 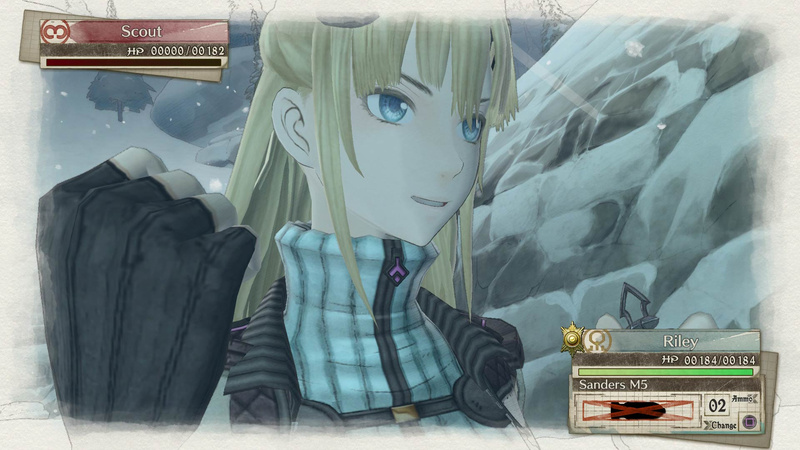 There are also numerous optional side stories for many of the supporting characters that offer more insight into their backgrounds, as well as the opportunity to take part in some unique battles. What a triumph it is to see VC make a comeback in such a big way. I'm glad to hear it's lived up to expectations. If anyone has any questions @ me and I shall do what I can. Very happy to hear VC is back in form (and better than ever, according to the review). I hope there's launch steelcase version like the first one. Finally! I'm still between ps4 or switch version. Wow! Still gotta beat VC1 Remastered, but will be adding this to the list. Cracking stuff. Sounds like there's another good bunch of characters to get to know. I loved them all in the fist game. I'm sure there'll be tales of the original gang mentioned in this if it runs parallel to squad 7's story. @ShogunRok Why thank you. After reviewing Revolution I thought this series was done but I'm thrilled it has all worked out here. Valkyria Chronicles was so good on PS3. I can't help but feel this game is about seven years overdue, but I'm so glad it's turned out great. Great review. I’ll have to get this at some point. I need to finish the first one first. Got partway, then stopped with the PS3 version. Now I’m gonna play the remastered at some point. @get2sammyb Honestly this game is like the Valkyria Chronicles 2 that came out in 2010 in a parallel universe. One of my favorite series! (I have a weakness for SRPGs) I know most people were anticipating Spiderman but this, for me, is the game I have been waiting on. @johncalmc I loved the first game but one arguable flaw, and quite a glaring one, is that the optimal way to play almost every mission was to use all your CP on one character, and make a beeline for the objective. You could finish lots of missions in 1-3 turns like that and it kind of broke most of the levels. Working as a tactical team is clearly the way it was meant to be played but it was hardly ever the best way to play. So, have they done anything about that in this game? @Matroska Scout rushing I believe it was called, where you got the best weapon for your scout, buffed them, and then ran to the finish. Yeah, grenadiers seem to have been created - at least in part - to force you to play properly. Grenadiers can bombard you with mortars as long as they're a) in range, and b) any of the troops have a line of sight on you. This means that unless you take out the grenadiers first - who are usually in good positions so you'll have to fight your way to them - you'll get blown to bits. Was going to wait before I got this but is now a day one purchase, any word on Dragon quest review? @johncalmc Sounds really good. Would've been a definite purchase for me right now if it wasn't for DQXI. I've been waiting for a true follow up to DQVIII for 14 years so XI was the ultimate must-buy for me (and I have to say, it's even better than VIII). What a month for games, hey? Must admit, I am very tempted to get this over Spider-Man. Hard decision! Woohoo! Back to form Sega. On my want list. I don't feel like this game is worth full price on PS4 when it can run on a low spec system like the switch. @LieutenantFatman I wouldn't get too swept up in the hype. Spider-Man is basically an Ubisoft open world game but you can swing around. @lanola That's some seriously odd logic. So not only should only photorealistic games be able to charge full price, you don't take into account things like enjoyability, content, replayability, complexity, length, etc? Plus almost anything could run on a weaker platform, you can lower resolution, texture quality, draw distance, shadow quality, environmental detail, etc. Excellent news! I didn't expect it to be that good. Yeah, a bit bored of open world collectathons I must admit. Agree, pretty sure with enough tweaking you could get Spiderman to play on something with less power than a ps4, it would probably look pretty poor. But it could be done. @suikoden Hopefully this week for Dragon Quest. @ShogunRok No pressure but you'd better give it 10/10 cracks knuckles. There are too many of the same-y open world and fps games. We need more games like this! We literally need an extra life to play all those great games! This is a very well written review. Good job! I love VC1 and 2. Pity 3 never came to the west. Day 1 buy, although I will admit, I will purchase on the switch. PS4 is reserve for big block buster games like GOW and Spiderman. VC4 look perfect to play on the go. @brendon987 Switch version has some slowdown issues apparently. Okay good I'm going to GameStop tomorrow thanks a lot for the review! @johncalmc Thats a pity, but probably expected. Still I take some performance hit, to play on the go. Great news , hope it sells more copies than the original . It became a cult classic slowly but surely then I think a lot of new people picked it up digitally years later as boxed copies where like gold dust. I loved the original but am ashamed to admit I never finished it but along with Heavy Rain I have great PS3 memories . @Matroska I don't see what's wrong with that. Spider-Man tells a really good, has excellent combat and probably has the most fun travesable mechanic in any open world game. Even it's collectables make a lot of sense giving it's setting.